Picking the right camera backpack is not as hard as it was choosing your first camera but its close. You spend days, maybe even months of looking at different camera makers and reading reviews before you made that first purchase. But now you have to find a secure and safe way to carry your prized SLR or digital around. The last thing you need to spend more time on figuring out which camera backpack to buy. 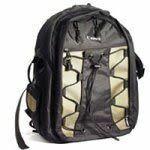 Most camera backpacks look similar to standard backpacks but has specially designed interior pockets and compartments that securely hold all your photographic gear. They have form dividers that can be reorganized to enclose extra cameras, film, memory cards, batteries and those super long lenses. The larger camera backpacks can hold multiple SLR and digital cameras (3 or more) plus tons of lenses, filters and film canisters, etc. They have outside pockets are designed to hold your tripod, cell phone, light meter, and GPS tracker (can’t be getting lost taking those wilderness shots.) Plus some of these big boys have plenty of room for your laptop with a 17″ screen! 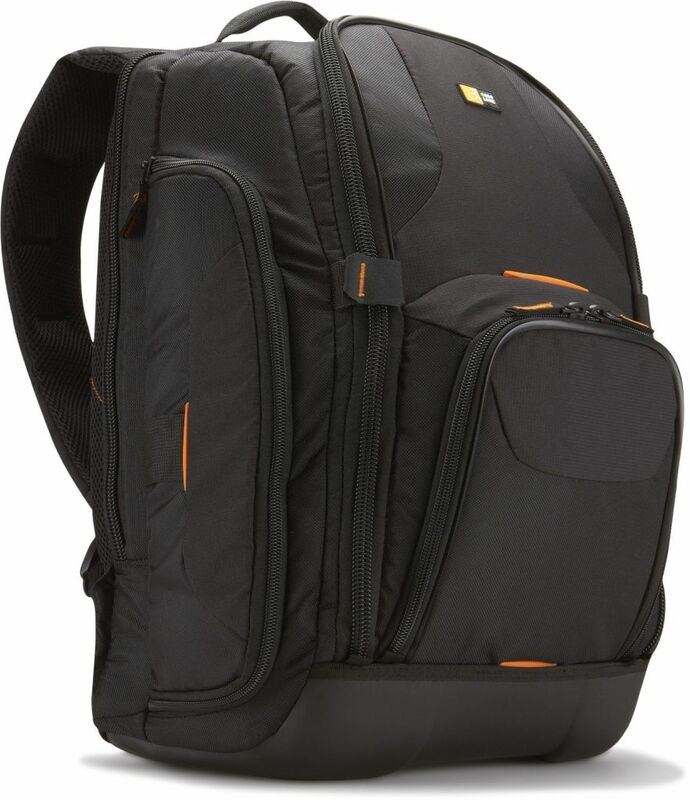 New on the scene are small backpacks for digital cameras can hold a single camera, a couple of lenses, filters, memory cards, batteries and set aside a padded compartment designed to hold your laptop and power brick. And most of them also meet the stricter airline rules concerning carry-on luggage. The primary advantage of camera backpack over any other type of handheld camera bag is its sheer size. 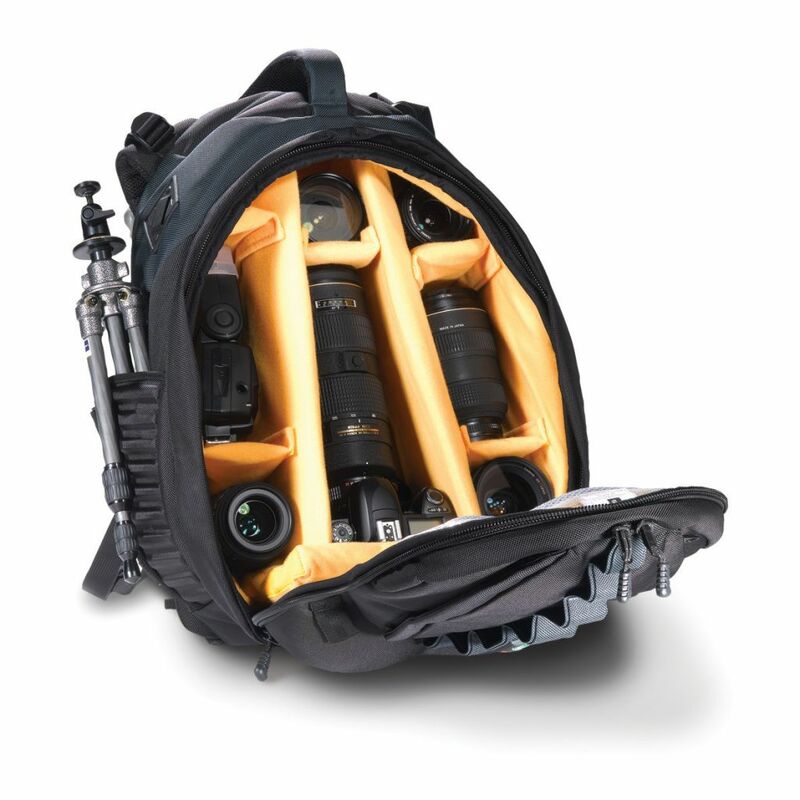 Large backpack camera bags can run from 2000 to over 3700 cubic inches and carry payloads of over 40 pounds. Camera backpacks should have wide and comfortable straps. If possible, you should also look for one the either a hipbelt or sternum strap, preferably both. These accessory straps help stabilize and distribute the weight of the pack, so you don’t have any oopsies while scrambling over rocks or rushing to catch a taxicab. A good backpack camera bag should have a nicely padded back, so all those lenses don’t poke through and rub against your back and sides. It should made out of a water resistant ballistic nylon or Condura® that lasts a long time and is resistant to scuffs, scrapes and tearing. Camera backpacks have the advantage over other bags by leaving the wearer the ability to use hands, to stomp and bend and even to run quickly for those fast action shots. The disadvantages are that a bag full of camera gear is automatic thief magnet. Plus you must take off your backpack to access your camera and any equipment and this can be problematic in wet or dirty environments. Despite its disadvantages, some photographic gear will only fit into backpack camera bags. And now that you know a little bit about the camera backpack, you should be ready to explore buying one on your own. The AmazonBasics Backpack is perfect for SLR Cameras and camera Accessories, and is ready for professional photography use. 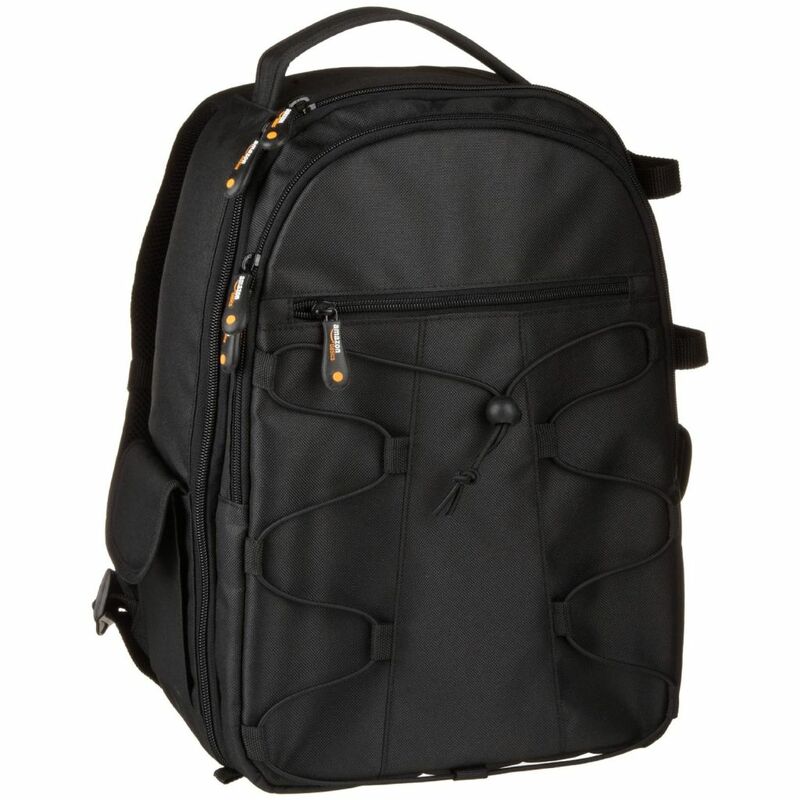 The Canon Deluxe Photo Backpack 200EG is ideal for photographers and is perfectly suited for Canon EOS SLR Cameras.